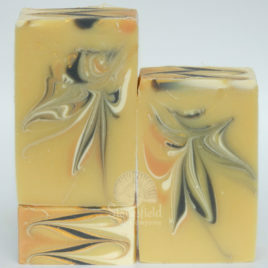 ‘Lavender Ice’ – Cocoa and shea butters with tussah silk, goat milk, kaolin clay and sunflower oil. 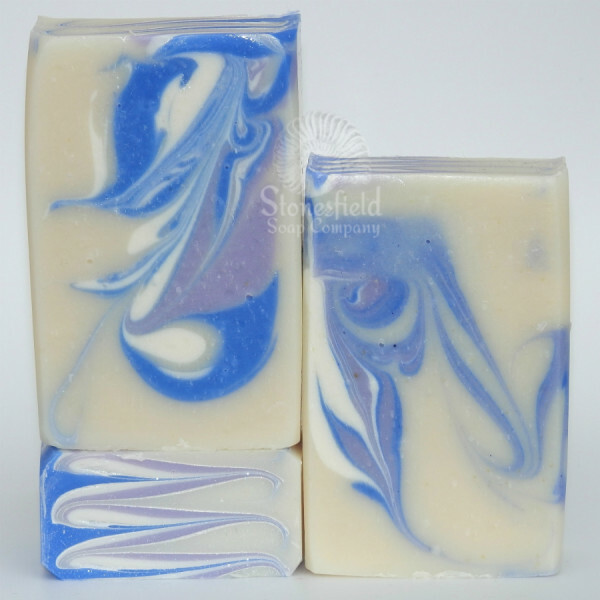 Gently fragranced with a delicious combination of essential oils that includes lavender, spearmint and peppermint. All mineral colours we use are laboratory-purified, nature-identical oxides, hydroxides and ultramarines. Legislation now prohibits (thankfully) the use of mined sources of these minerals as they may contain harmful contaminants such as arsenic and toxic heavy metals. The mineral pigments we use have exactly the same chemical formula as the mined version, but are 100% pure, non-irritating and thus totally safe for cosmetic use; EU labelling directives requires that each one be listed according to a specific universally acknowledged code number, the ‘ci number’. In Greek mythology the Naiads were the nymphs of bodies of water such as rivers, streams, lakes, fountains and springs. To us, they suggest a fresh, clean aroma with colours and a design that reflect water. 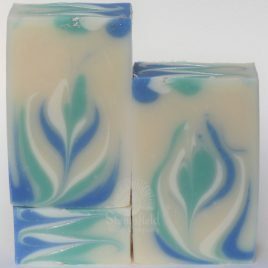 Our 'Naiad' is a refreshing way to start the morning with a clean, crisp blast an essential oil blend containing peppermint, eucalyptus, tea tree, cypress and cedarwood. 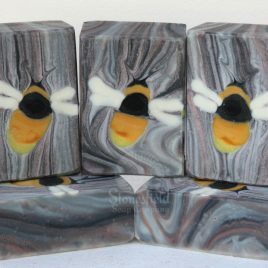 With lashings of skin-loving raw shea butter coupled with olive oil, rice bran oil sunflower oil and cocoa butter. Perfect for normal to oily skins and teen skin. 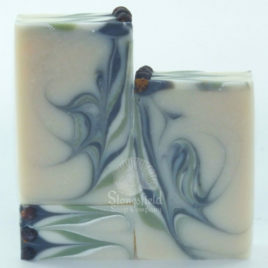 (This bar was previously called 'Peppermint & Eucalyptus') There are two options for packaging. Please choose from: Basic packaging: The soap bar has a cigar band label with full ingredient details and is packed in a compostable glassine bag Gift box packaging: The soap bar is wrapped in a translucent vellum sleeve with a handmade paper band and tied with a fine satin ribbon. It nestles in fine ivory shredded paper in our bespoke ivory ribbon-pull matchbox-style gift box. Except for the ribbon, all packaging is recyclable. Price is for one bar, 95g approx / naked bar. Packaged product weights (NB these weights are an approximation only) Basic packaging - 95g approx Gift box packaging - 120g approx. 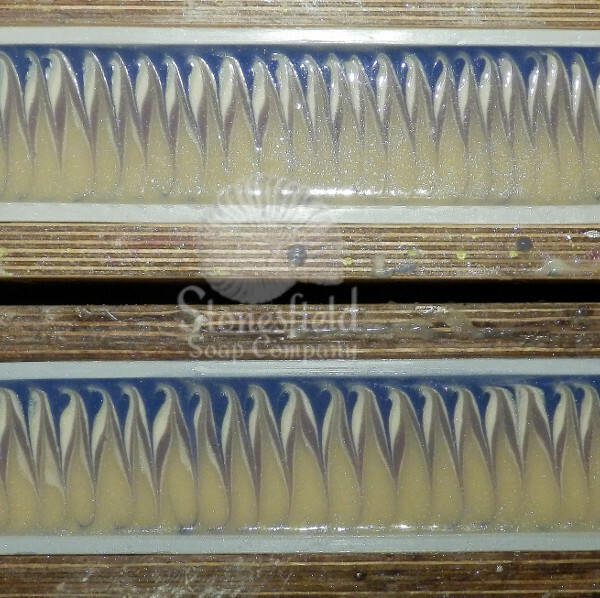 Please note: as this is a handmade product there will be slight variations between individual bars and different batches; generally speaking, no two bars are exactly the same. The product image displayed is only an example of the design.